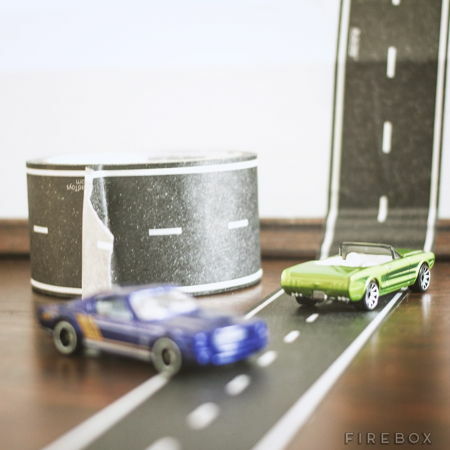 Playtape – it might drive you up the wall! All work and no play makes Jack a dull boy, but then again, if you were to play all day long, no work is going to get done at all. Having said that, the £9.99 Playtape is something that should have been invented far many decades ago, where it is capable of sticking itself to just about any flat surface, and is also easy to remove and leaves no residue at all. Not only that, it is also extremely portable, allowing you to take it around over to your friend’s house. In other words, you might as well purchase as many rolls as possible, allowing you to make a really, really long “highway” of sorts?